Don't Be Afraid to Fail - SchoolFinder.com! There is often pressure placed on us in Grade 12 - whether it comes from our family, society or ourselves - to have our life map drawn out before we graduate high school. Truth is, most of us don't know what we want to be when we "grow up." Even when we think we have it figured out, things can change. After high school, Elijah Vesprey enrolled at Vancouver Island University (VIU) to pursue his passion in the culinary arts. Once he was in the program, he quickly realized it wasn't where he was meant to be. "I was disappointed at first as my family really encouraged me to go into culinary arts, but then I realized this is my life and I need to make the best decision for me," he says. 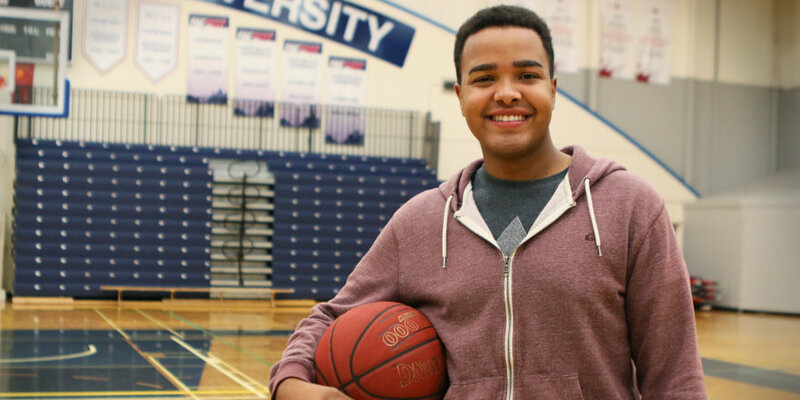 After speaking with advisors and continuing to take university electives, Elijah discovered his true passion was in Recreation and Tourism Management. He enrolled the following year, and is now in his second year of the program. What do you do if you don't like what you're studying, or you're struggling in one of your classes? Elijah shares some tips. Speak to an Advisor: If you are unsure if your program is the right fit for you, educational advisors are great resources to help you navigate to where you are meant to be. Seek Help: You are following your passion, but there is one course you are struggling with. Seek out support from your professors or school tutors to get the additional help you need to succeed. VIU offers the Writing Centre and Math Learning Centre to support students academically. Elijah struggled with an accounting course last semester, but with the help from his professors he managed to get the support he needed to move forward. Professors are extremely receptive to helping students who show a genuine desire to do well in the course. Don't Give Up: Remember if you fail a course, it does not mean YOU are a failure. You can always try again - and there is nothing wrong with that. Our mistakes are our greatest learning experiences. When you are in a program that isn't a right fit, it's easy to feel discouraged and give up on school all together. Even though Elijah knew culinary arts wasn't for him and he was still unsure what he wanted to do, he stayed in university and continued to take electives. He gained valuable course credits and ended up discovering he loved Recreation and Tourism Management. Explore Your Options: Vancouver Island University's Exploratory University Studies program helps students figure out what they enjoy by trying out a variety of programs. Most universities and colleges let you take electives or programs to help you try different things without fully committing to one discipline. This is a great choice to gain credits and make an educated decision about your future. Your university experience carves out the beginning of your career path in life. Don't spend the journey doing something that doesn't make you happy. Follow what truly makes you happy - even if it takes you a few tries to figure out exactly what that is.